We then ask students to write their responses to these questions down on a piece of paper. These questions are intentionally broad so that the students can critically think of all they want from the year, both individually and as a group. As students fill out their goals for the year we walk around and have an individual conversation with every student. This gives us time to get to start building a working rapport with them on the very first day. Once every student has been given a chance to respond to the essential questions they seal them up individually into an envelope. 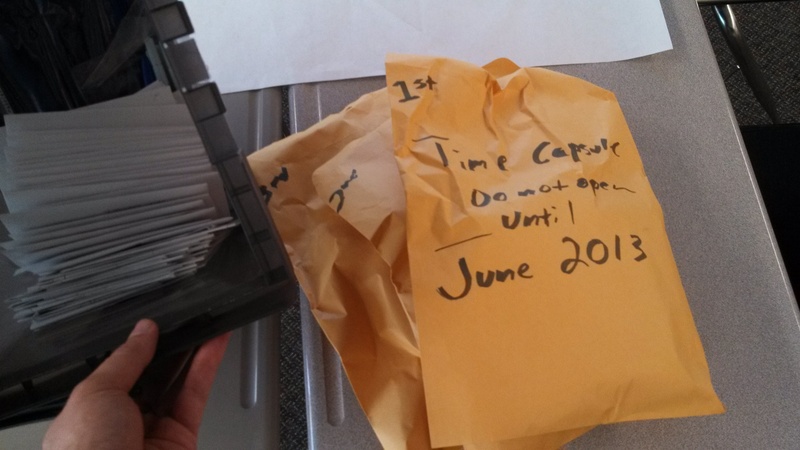 We then collect all the envelopes into a time capsule labeled “Do not open until June”. We look forward to the end of the year when we can open the time capsule and celebrate the year’s accomplishments.